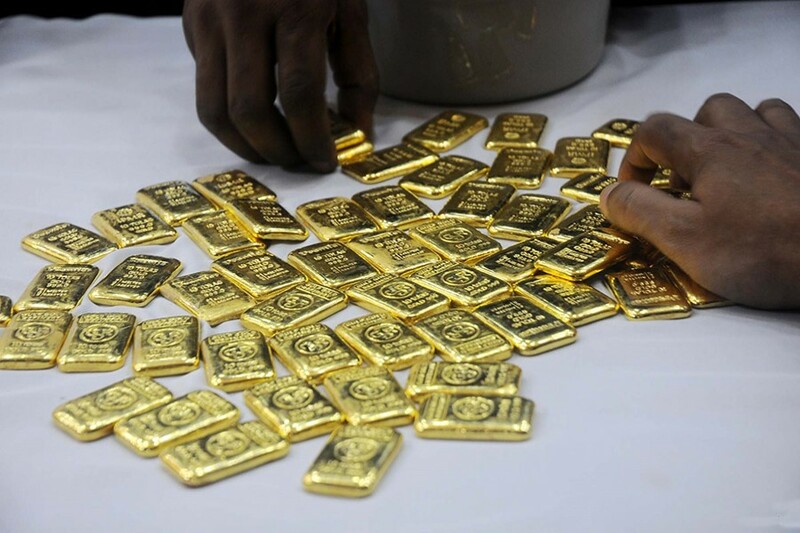 Customs officials in a drive seized 40 gold bars, weighing 4.64 kg, from a flight of Biman Bangladesh Airlines at Hazrat Shahjalal International Airport in the city on Wednesday, UNB reports. Othello Chowdhury, deputy commissioner of Dhaka Customs House (DCH), said that a flight of Biman Bangladesh Airlines of Abudhabi-Sylhet-Dhaka route landed at the airport in the morning. Tipped off, a preventive team of customs entered the flight and recovered the gold bars worth Tk 2.32 crore wrapped with black scotch tap under a seat in an abandoned condition.